Lawmakers in New Jersey just launched the first significant push toward passing a bill that would legalize marijuana for recreational use. During the collaborative meeting among members of the Senate and Assembly Appropriations Committees, held on Monday, legislators took up sides for and against legal marijuana in New Jersey. Ultimately, the majority recommended passing Bill S-2703, also known as the New Jersey Regulatory and Expungement Aid Modernization Act. While this marks a major step, the bill cannot become law without passage in the Senate and NJ State Assembly. It also requires the long-promised signature of newly elected Governor Phil Murphy. Senate Judiciary Committee Chairman Nicholas Scutari, one of the bill’s sponsors, said they expect multiple amendments in order to get legal recreational marijuana passed in New Jersey. Some of the potential compromises include harsher penalties for marijuana distribution outside of the legal market, as well as additional funding for law enforcement training and youth education about the hazards associated with drug use. When is the marijuana bill set to come up for a vote? A specific date has yet to be determined. Is Marijuana Legal in NJ Yet? No. As it stands, possessing any amount of marijuana is a crime under New Jersey law. According to the governing statute, NJSA 2C:35-5, having 50 grams or less of weed in your possession is a disorderly persons offense – essentially a misdemeanor. A conviction could land you in jail for up to 6 months and fined up to $1,000. Convictions for marijuana possession are also punishable by suspension of your driver’s license for 6 months to 2 years, depending on the circumstances of your case. If you’re found with more than 50 grams of pot, you will face indictable offense charges (also known as a felony). The specific amount of weed in your possession and whether or not the state has probable cause to believe you intended to distribute, determines the specific degree of the charges. 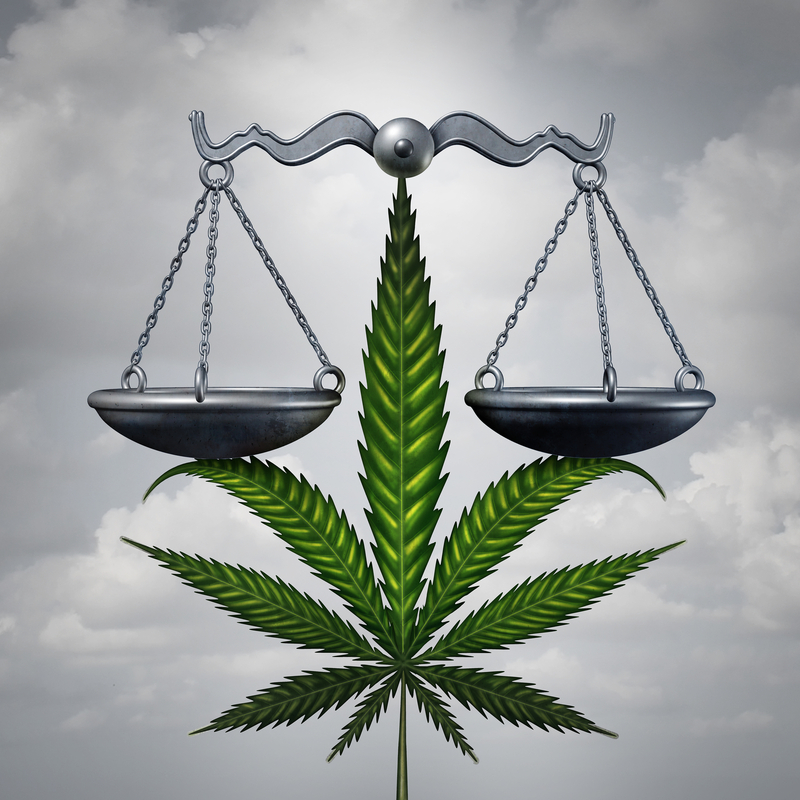 The more marijuana, the more severe the charges and penalties for a conviction. Over intent to distribute over 25 pounds of marijuana is a first degree crime, carrying up to 20 years in prison. 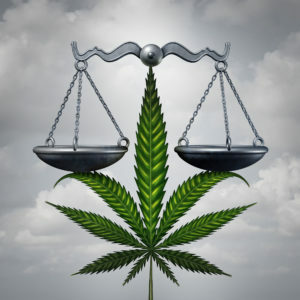 At the other end of the spectrum, a fourth degree crime for marijuana, in an amount ranging from 1 ounce to 1 pound, is punishable by a maximum of 18 months. If you were found with more than 1 ounce in your possession for personal use, you would be subject to a $50 fine, as opposed to criminal charges. Home delivery of marijuana would be permitted and it would be legal to own and operate a business where adults could smoke weed, similar to a bar where people drink alcohol, a hookah lounge, or a cigar bar. Additionally, if you have a prior conviction for marijuana possession or distribution of 1 ounce of less, you would be able to apply for an immediate expungement of your criminal record. Senator Patrick Diegnan said it best: “The only people who are going to be hurt by this [bill] are drug dealers.” In other words, New Jersey may usher in recreational marijuana accompanied by harsher consequences for people who distribute marijuana outside of the stringently regulated market that would be set up. This presents an interesting conundrum, as many entrepreneurs who would hope to participate in the marijuana retail space simply may not be able to get passed the red tape involved in establishing one of these businesses. How marijuana selling becomes an open market for those without massive amounts of funding remains to be seen. What it means for you is that you cannot legally sell weed without a valid license and abiding by all of the regulations proposed under this legislation. They may even make the sentences more severe for those convicted of marijuana distribution. Whether or not the recreational marijuana legislation recommended this week ultimately passes remains to be seen. Until then, don’t take any chances by having weed in your car, home, or on your person. If you have already been arrested for marijuana in New Jersey, call our experienced marijuana defense attorneys for help today. We are reachable by phone at (201)-556-1570 or by message anytime to provide you with a free consultation.